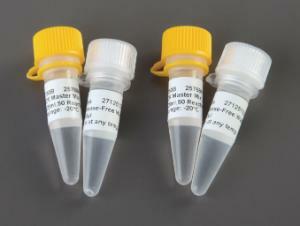 The premixed ready-to-use solution contains Taq DNA polymerase, dNTPs, and magnesium chloride at optimal concentrations for efficient amplification of DNA templates by PCR. Enough for 100 reactions (2.5 mL). Note: Can be stored at 4°C for up to six weeks or -20° C for longer.